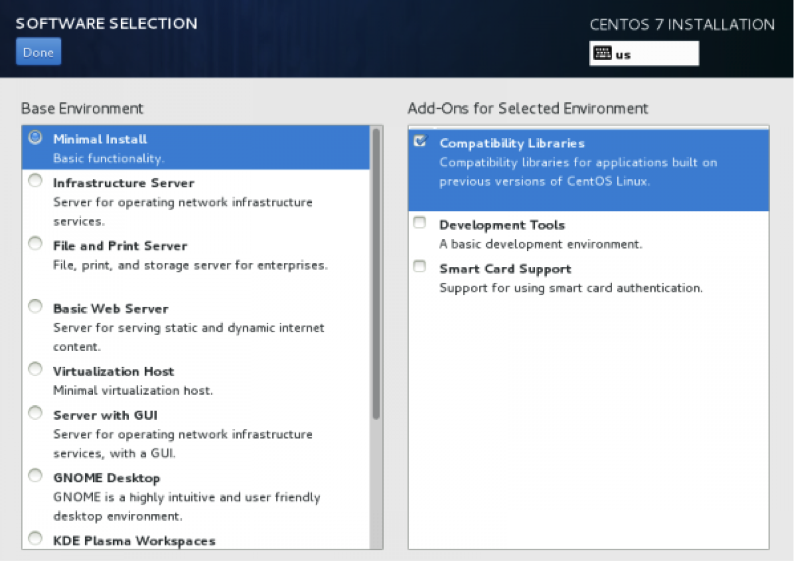 In this Linux CentOS 7 or Red Hat Enterprise 7 we will take a look at how to setup a development environment, with for instance gcc, make, rpm-build and so on. During the initial installation of a new system it is possible to choose to install a basic development environment in the software selection menu. See the image below, where a minimal install is selected and on the right side you can select Development Tools. # yum groupinfo "development tools"
That’s all for this tutorial where we installed development tools on CentOS or RedHat 7 systems in various ways. Tip: I also like to install kvm and develop on a virtual host, because that way you can keep your base system clean. This entry was posted in Linux Install (Tooling). You can follow any responses to this entry through the RSS 2.0 feed. You can trackback from your own site. Tweet This! or use to share this post with others.